Two of the most popular teams in Call of Duty esports went head-to-head today in a highly-anticipated match, but it wasn’t as evenly matched as most thought. With big wins yesterday for both teams, 100 Thieves and OpTic Gaming came into today with some momentum on their respective sides. Both also looked very strong to start the series, but it was 100 Thieves who narrowly won Frequency Hardpoint. 100 Thieves took little time to go up 2-0 in the series, though. They swiftly sliced through OpTic on Hacienda Search and Destroy, which moved them on to their best gametype: Control. On Arsenal Control, OpTic surprisingly looked like the better team. After a great defensive effort in round one, though, OpTic lost the second round despite having a three-live advantage very late in the round. OpTic’s defense held up again, which gave them the lead, but 100 Thieves proved they are the superior Control team by taking two consecutive rounds to win the map and series. This win is a huge boost for 100 Thieves, who locked up the top spot of Division B with the win. OpTic is still stuck in third place in Division A, sitting behind Midnight and Gen.G. In the other three matches of the day, Gen.G improved to 9-2 on the season with a 3-1 win against Enigma6, Denial Esports upset Midnight Esports in five games, and Splyce held on against Team Reciprocity to improve to 6-5. 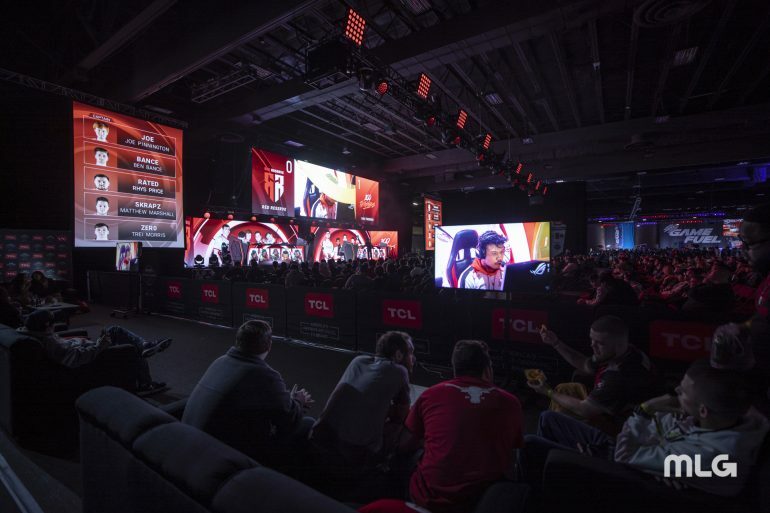 With cross-divisional play finished, teams will turn their attention to their next major event of the season, CWL London. Following the 100 Thieves vs. OpTic match, the London pools were revealed, which showed there will be a 100T vs. OpTic rematch in just one month.